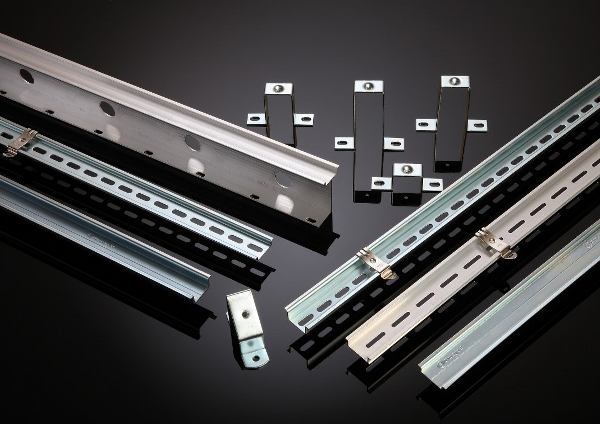 In this section you will find IBOCO's full line of din metal mounting rails as well as all IBOCO din rail accessories. Together, those two lines provide a comprehensive solution to all of your rail applications. Mount terminal blocks, relays, power supplies, but also control and distribution devices on walls and other flat surfaces as well as inside enclosures. For your convenience, IBOCO Din rail is available for purchase on our website (full boxes only). IBOCO din metal mounting rail is RoHS compliant and is conformed to many standards such as EN 60715 and EN 50022. IBOCO Din Rail standard length is 2 meters (6’6 ¾”) but is also available in 1 meter lengths. IBOCO’s Din Rail series are made of metal, and have been treated with galvanic zinc plating and passivation. IBOCO provides the most comprehensive line of din rail available on the market with more than 20 different sizes including rail with or without mounting holes. Unperforated rail allows you to drill your own holes as you wish. IBOCO line of Din Rail accessories offers a wide range of time-saving solution for all of your rail applications. Our products include the following: DINFIX mounting clips, DINCLIC mounting clips, ST and STS din rail brackets and the DC-510 cutter tool. Feel free to start chatting with us through our live chat if you have additional questions. You can also contact your local representative or the IBOCO sales office in Edison, NJ for more information on IBOCO Din Rail and Din Rail Accessories series.